It's simple. Two of my favorite things: coffee and my iPhone. Put them together and I am one happy woman (especially when the coffee is fresh). So it's easy to see how I'd be excited when I heard about Kim from coffee|served daily's call for iPhone (or any mobile phone) coffee photos. 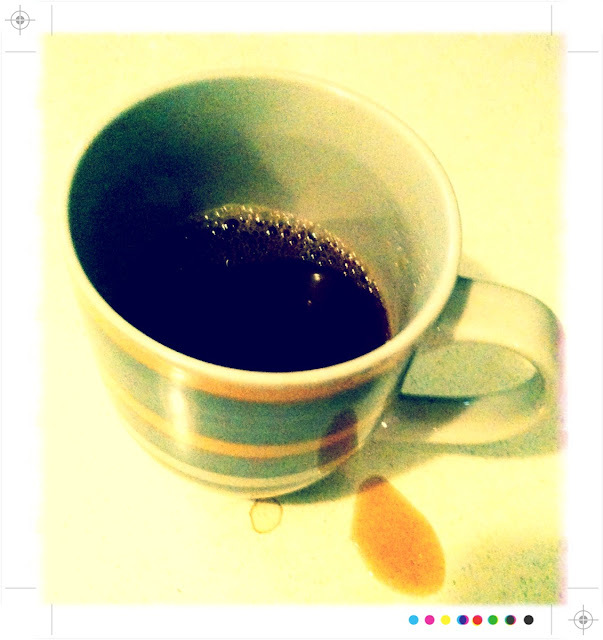 If you have not seen her blog before, you should check it out--the mission is to post 1000 cups of coffee in 2011. In June, she plans to post 50 iCoffee photos to celebrate reaching the half-way mark--500 cups of coffee on her blog. She is asking for the mobile photography coffee shots by mid-May, but you can also send any old coffee photos for her ongoing project. Her contact info is here, so head on over and join her for a cup. coffee+photography= heaven to me, too. Love this, and what a fantastic idea (1000 cups of coffee)!! Love coffee, love iPhone..... Me too! Thanks for mortal muses the other day! I'd even trade my daily caffeine for a shot as nice as that! Great shot - I could use a cup right now. That's such a great idea for a project. Coffee and my iphone are two of my favourite things too. lovely shot, I do love coffee. Thanks for the link. Sounds fun and right up my alley;). Great shot! Nice shot of coffee! Kim's project sound fun :) Time for a fresh cup. Oh, I love that one too. I have to buy camera+ I love that kind of processing. Awesome. I have TONS of iCoffee shots. Looking forward to checking out her blog and project! Coffee and iPhone are amongst my Julie Andrews slice of happiness things, too! Thanks for sharing the word on this.